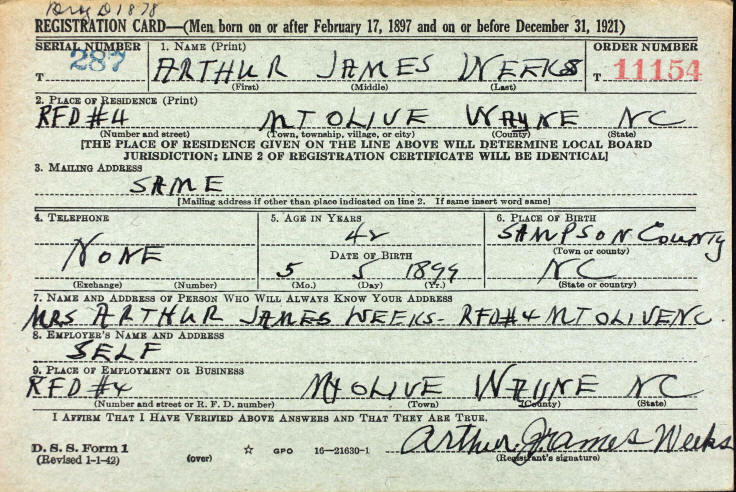 Arthur James Weeks was the first child born to James Henry Weeks (b. 1850) and Mattie Byrn Harrell (b. 1880). 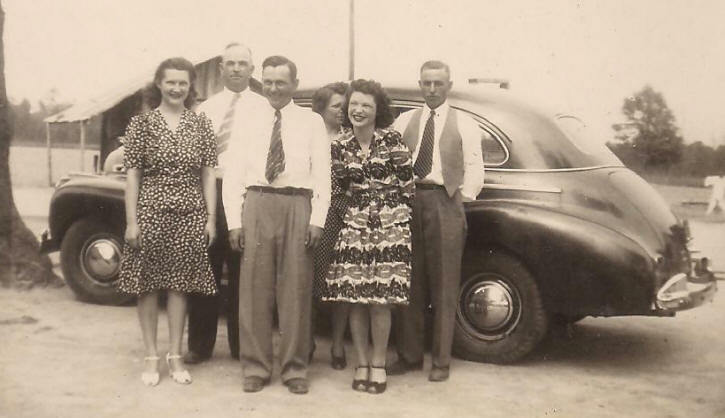 Arthur was born 06 May 1899 in Goshen, Sampson County, NC. 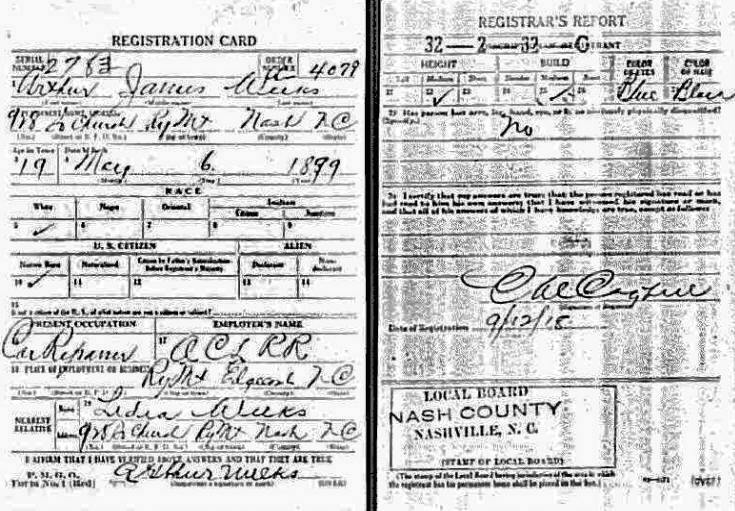 Arthur registered for the draft at the age of 19. Arthur married Lydie L. Sutton on 12 Nov 1917 in Sampson County, NC. Lydie was born 17 Jul 1900. Arthur and Lydie's marriage produced six children. 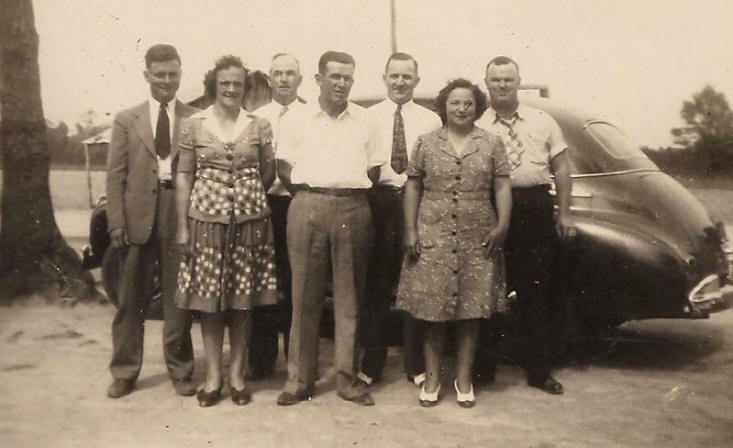 Laura, Arthur Sr, Toley, Lidie, Esther, Arthur Jr.
Arthur registered for the draft during World War II, also. Arthur died 29 Oct 1976 in Mount Olive, Wayne County, NC. Lydie died 01 Jul 1987.